Back to update my travel blog! Day 5, We will be watching our 2nd show of High School Musical in the afternoon. 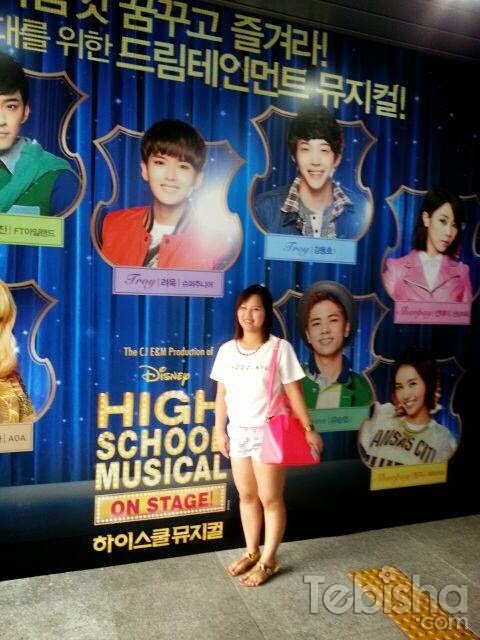 This time will be another female lead with Ryeowook, she’s a musical actress. At the end of the musical, we waited for Ryeowook at the carpark and managed to catch a glimpse of him when he hopped on to his car. Too many fans gathered at the exit, it was quite chaotic, this was the best picture I could snap. After the musical, we went back to Myeongdong. 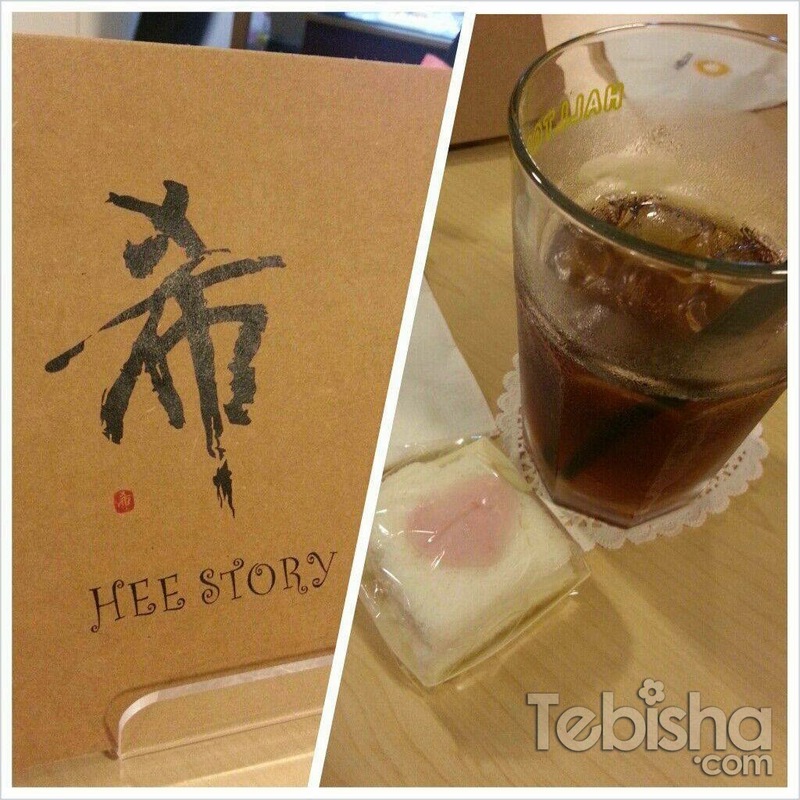 Just nice, it was Heechul’s sister’s cafe Hee Story reopening day. So we headed to his sister cafe for some drinks and snacks. We reached there about late evening, cafe was not crowded. 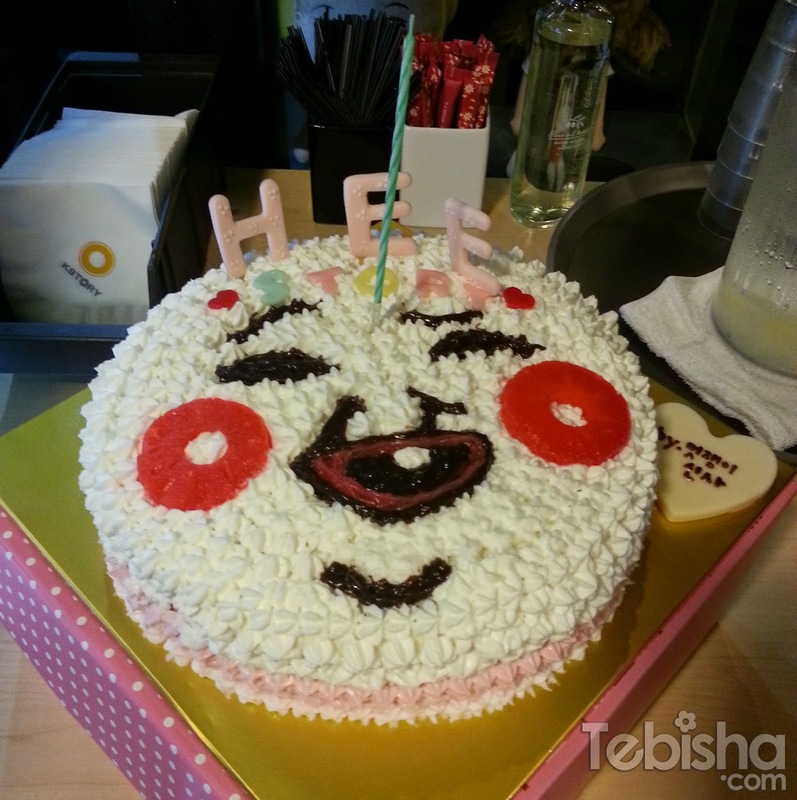 Every customers were given a rice cake as the reopening gift. 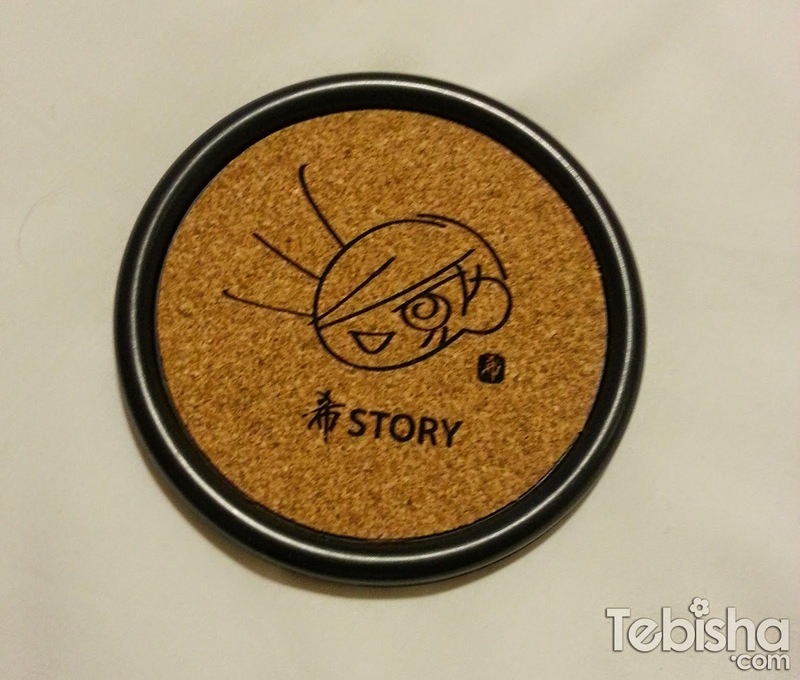 Coaster for customer who patron the Hee Story during that period. Had our last breakfast of the trip in Myeongdong. We craved for some ramyun and asked the tourist guide for recommendation of ramyun in Myeongdong. 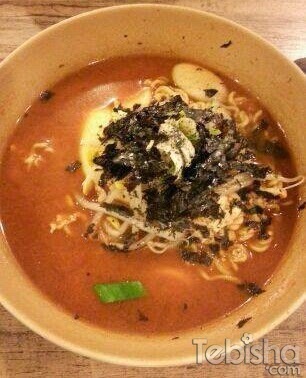 They guided us to TeumSae Ramen 틈새라면, they only sell 2 types of Ramyun, Spicy & Non-Spicy. TeumSae Ramen is located at a corner of a street in Myeongdong, it’s on level 2, a very small restaurant which you can find lots of small notes stick on the wall and ceiling. We ordered the spicy noodles! Apologies for the low quality of the picture. Took this from my note 1. TeumSae Ramen is really SPICY! We ate a few mouth, we can feel the burning of our lips and tongue. We had to drink lots of water in order to finish the whole bowl. Spicy Level 5 ☆☆☆☆☆! If you can’t take spicy, do not ever think of trying it. I’m a spicy person, this spicy ramen is way above my limit. Spicy lover do take up the challenge if you visit Myeongdong ok? After the meal, we head back to hotel and ready to leave to Incheon Airport. 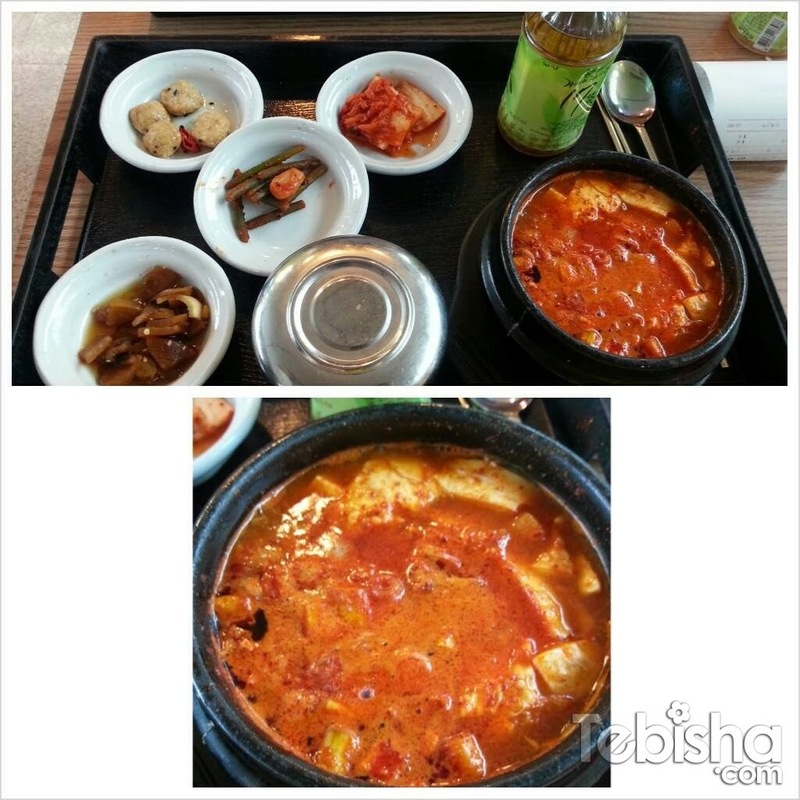 Had our last meal in Korea at Incheon Airport. This post marks the end of my Fun Time is Seoul (July 2013) Travelog. Next travel post will be my 3D2N trip to Taipei for Super Show 5.